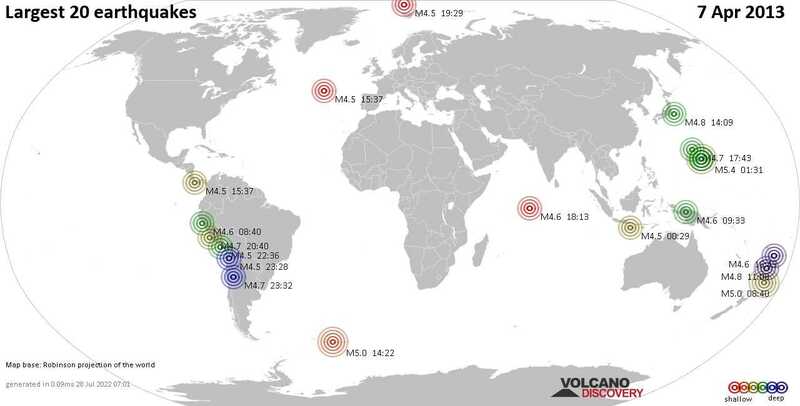 Sun, 7 Apr 14:46 UTC M 2.7 / 117.5 km - [info] (62 km) 81 km al NE de Sierra Gorda. Ljubljana Polje / MMI II (Very weak shaking): It felt like a rather large truck drove by our small house. Kit sap county / MMI V (Moderate shaking): Heard loud bang and bed shook waking me up. Thought tree fell on house. 14 Kilometers northeast of Vélez Blanco / MMI III (Weak shaking): Laying in bed I felt the floor swaying while on the second floor. The ceiling made some shifting sounds. My girlfriend was awakened as well.